Add your name to the petition for your campus. More than 500 CUNY faculty and staff marched through the Financial District on Thursday, September 27 to demand public investment in CUNY and a fair contract. Led by a brass band, PSC members picketed outside the NY Stock Exchange before chanting our way to the investment banking firm of William C. Thompson, chairperson of the CUNY Board of Trustees. 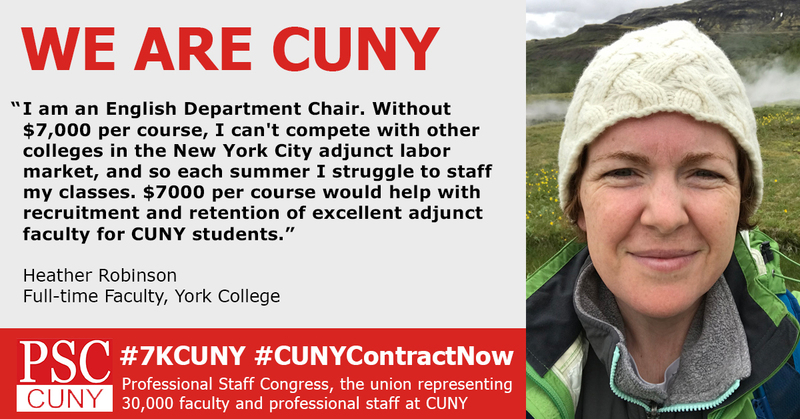 The PSC is pressuring Bill Thompson to demand the public funding needed to ensure raises for all CUNY faculty and staff, $7K per course for adjuncts, and a better life for CUNY workers and CUNY students. Click here to read more  and here for Facebook Live video of the demonstration outside Thompson’s office. 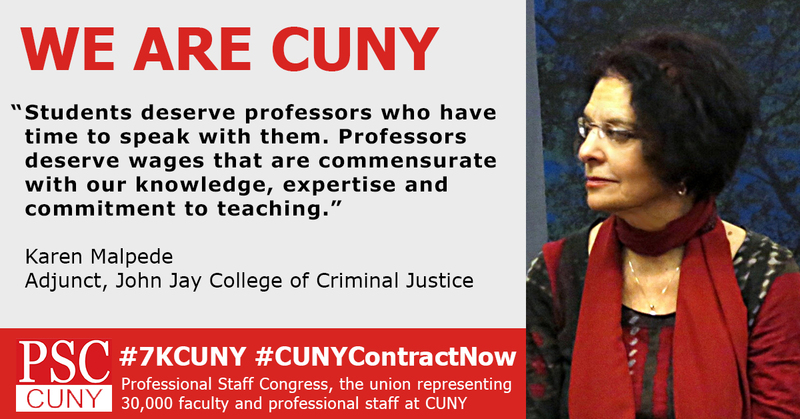 Increasing CUNY adjunct pay to $7,000 minimum per course is essential to student success and the right thing to do. 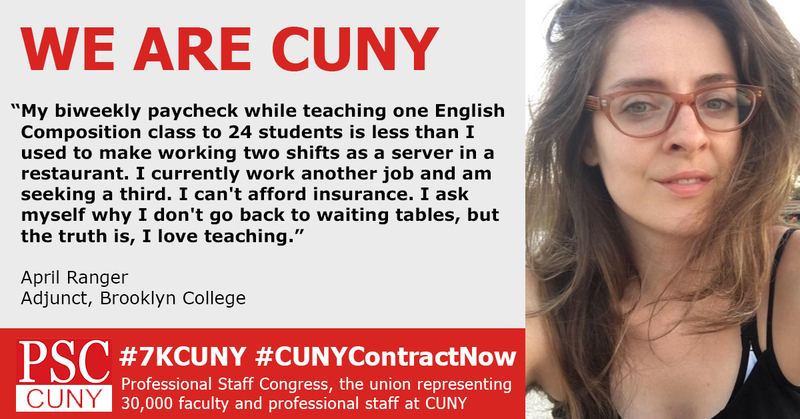 CUNY sends the wrong message about the value of college education when it relies on adjunct faculty paid a shamefully low wage to do the majority of its teaching. Join the Committee of Adjuncts and Part-timers Facebook group  or attend their working meetings every first friday of the month from 3-5 PM.